This entry for The Bloodlines Journal comes from Company Dancer and Assistant to the Artistic Director, Gino Grenek. Bloodlines is in its second year, and we’re here to share its stories. Read more about Bloodlines here and stay tuned for more entries into the Bloodlines Journal. There are those pieces in every company’s repertory that deliver exactly what they need to deliver at each moment. MiddleSexGorge is one of those pieces. Created in 1990, the dance is as fresh and alive today as when it premiered over 25 years ago. 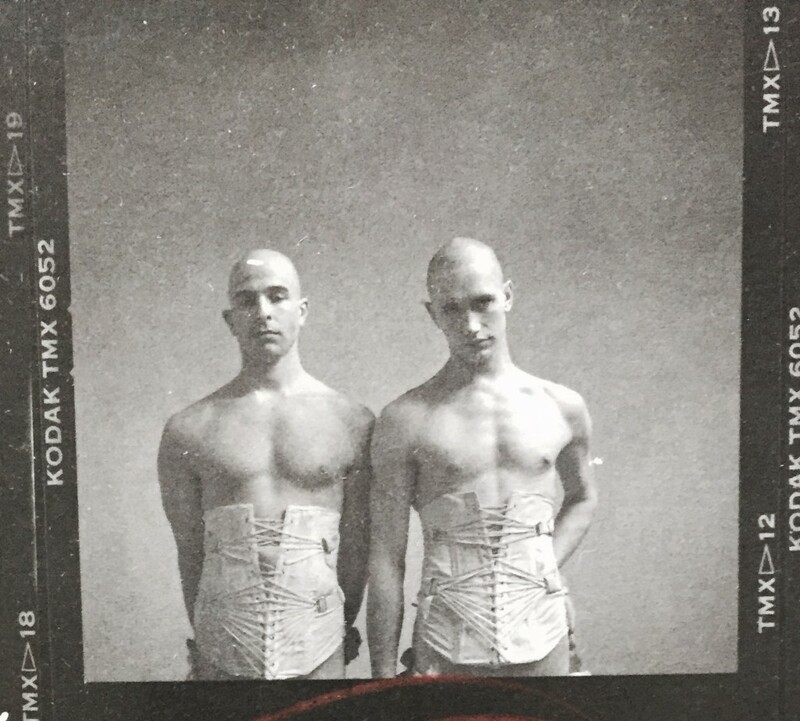 For this reconstruction, the company has meticulously examined footage of the original cast of heroic dancers (Kristen Borg, Susan Braham, Michael Clark, Rebecca Hilton, Mia Lawrence, Jeremy Nelson, Stephen Petronio and Kevin Schroeder). Their acute understanding of the material is nothing less than shocking and we have been working diligently to embody each and every nuance. The piece is ferocious and the dancers must be fearless in their execution of the dance. Hands grab, legs fly, heads whip and torsos twist at warp speed. It is a rite of passage for every Petronio dancer to perform MiddleSexGorge. As I near the end of my seventeenth and final season with the Stephen Petronio Company, I am truly honored to be dancing the male solo (originally Michael Clark) and the male duet (originally Michael Clark and Stephen Petronio) in MiddleSexGorge. Although both are relatively short in length, they are each packed with the most gorgeous, complicated and exquisite movement. Not a single moment is superfluous. Over the 25-year history of the piece, very few dancers have been lucky enough to be given the challenge of performing these roles. I adore it, I crave it and I am humbled by it.